I’m keen for my building project to be good fun and not become overly onerous. This means taking the occasional short break to keep up with friends, family and other interests. Last Friday evening I attended an intriguing lecture on ‘The Origins and Use of Mediaeval Cloisters’, held to raise funds for repairs to Strethall Church in Essex. This tiny, enchanting flint building is one of the oldest in our county – parts date back to Saxon times and this year the church celebrates its 1,000th anniversary. It’s well worth a visit if you’re in the area. 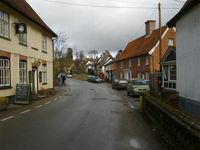 I was away for mos t of the weekend in Suffolk with friends, two of whom, Mark and Mags, put us up. Mark is also passionate about old buildings so I’m planning to enlist his help with the work to my house once the action hots up. 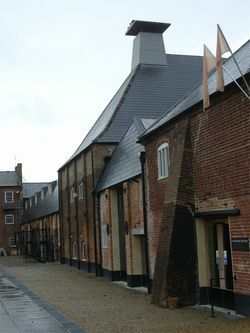 Our excursions took us to Snape Maltings (pictured, above; http://www.snapemaltings.co.uk), as well as the ancient and picturesque village of Hoxne (pictured, left). On Sunday evening, I travelled down to London for a family birthday celebration at La Cucina in Farringdon, one of my favourite Italian restaurants (020 7250 0035). Now I need to work off the excess! 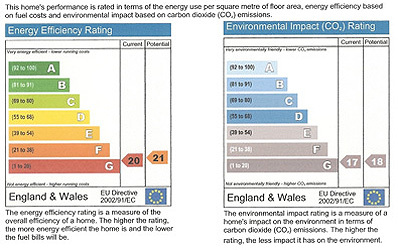 It is important that we all strive to cut our carbon dioxide emissions but I am taking the recommendations in the Energy Performance Certificate (EPC) that I received when purchasing my house (below) with a pinch of salt. 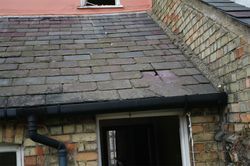 Unfortunately, they are less than helpful and bear out concerns expressed by the SPAB (Society for the Protection of Ancient Buildings) when EPCs were introduced as part of Home Information Packs (HIPs) in 2007. No previous experience is necessary to train as a domestic energy assessor to produce EPCs and those who qualify frequently display a worrying lack of understanding when dealing with old buildings. This is compounded by the fact that the software used can discriminate against older, more complex properties. Consequently, the recommendations given in EPCs are too often for work that would not only be damaging to historic fabric but result in little, if any, environmental benefit. Even so, I was aghast at the assessor’s recommendation that the thermal efficiency of one of my two cottages could be improved by applying external wall insulation and the claim that this “might improve the look of the house”. 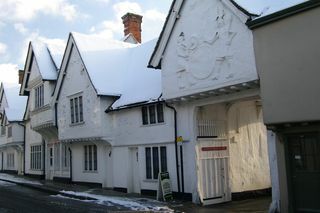 So much for the building’s grade I listing and the national significance of its pargeting! Fortunately, there are many other, more appropriate ways in which I could cut my energy use and I plan to incorporate a range of these into the forthcoming project. Good advice on reducing energy consumption in old buildings can be found at www.climatechangeandyourhouse.org.uk and www.historic-scotland.gov.uk.